This project aimed to improve the sustainability of new and existing buildings in Galapagos by developing and utilising best-practice codes and procedures. 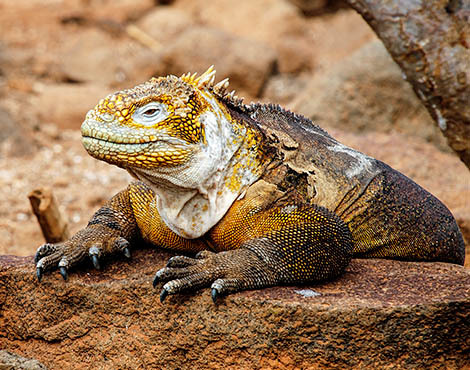 Galapagos has seen a rapid expansion in population over the last 60 years. In the late 1950’s, the population was less than 2,000 people. Today it is close to 30,000, and it is expected to continue rising. The pressure that this influx of human activity has placed on Galapagos is immense. Together with the Princes Foundation for Building Community and the Charles Darwin Foundation (CDF), we worked towards finding solutions which act to reduce human impact on the Islands in order to secure a more sustainable future for Galapagos. In January 2014, two highly-qualified professionals from London kindly volunteered their time and resources for three months, and their work on the ground in Galapagos was a fundamental phase of this project. They focused on two areas: firstly contributing to a sustainable building best practice guide for the Islands, and secondly rejuvenating the library at the Charles Darwin Research Station (CDRS). The vast majority of electrical power in Galapagos comes from diesel generators, an expensive and environmentally damaging source. As such, the best-practice houses aim to reduce energy consumption and increase the amount of energy made available from renewable sources. Fresh water is an extremely limited commodity in Galapagos, so scarce that at an international conference held in 2005, water management was declared the most urgent problem in Galapagos. The best practice houses have been designed to use water in a very low impact way and have the potential to reduce water consumption by over 50%. The majority of houses built in Galapagos are made from concrete breeze blocks. The materials are often sourced from two local mines which are located within the Galapagos National Park and cause environmental damage to the surrounding area. Blocks made from alternative aggregates such as broken glass are made in Galapagos by artisanal manufacturers are one option, however by far the most-sustainable building material available in the Islands is bamboo, which has an impact 50 times lower than steel. The library has been central to the CDRS since its inception. The building houses a vast wealth of knowledge about the Islands, with an extensive collection of books, publications and journals which CDF has accumulated over the last 50 years. Two of the key considerations for the library renovation were the prevention of water and insect ingress into the building, as well as ensuring that temperature and humidity can be closely controlled. The project volunteers designed and managed this renovation with help from CDF staff and the library has now been given a new lease of life. If your looking to help, why not become a GCT member or Galapagos Guardian.